The festival will be held on Saturday, September 1, from 2 p.m.-9 p.m. in Eastham-Thomason Park. The concert is free to the public. As an added benefit to the music festival, there will be craft and food vendors, and a Children’s Corner to include something for everyone. Attendees are encouraged to bring chairs, blankets and the family, and be prepared to have a great time as the community comes together. For information on the festival or to volunteer, Visitor Center may be contacted at 936-291-9726. 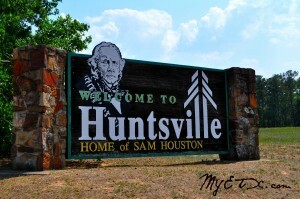 Walker County- Just outside of Huntsville lies a forgotten community tucked away down a winding dirt road under the pines. Little remains of the early East Texas community, with the exception of one of the oldest burial grounds in Walker County and memories passed on from early settlers. CROCKETT— The national tour of the Tony award-winning musical, Fiddler on the Roof is coming to Crockett for ONE NIGHT AND ONE NIGHT ONLY!! This classic Broadway musical has captured the hearts of people all over the world with its universal appeal is coming to the Crockett Civic Center on March 6 at 7:30 p.m. Fiddler on the Roof has been lauded by critics again and again, and won the hearts of people all around the world. 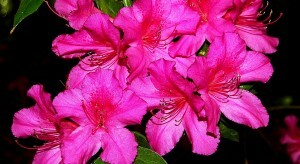 NACOGDOCHES – The fifteenth annual Azalea Trail will officially kick off with a ribbon cutting in the Ruby M. Mize Azalea Garden on Friday, March 1 at 4 p.m. The President of the Azalea Society of America, John Migas, will be present along with Barbara Stump, Project Coordinator for the Ruby M. Mize Azalea Garden.